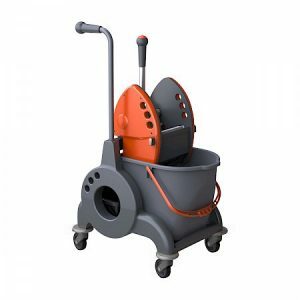 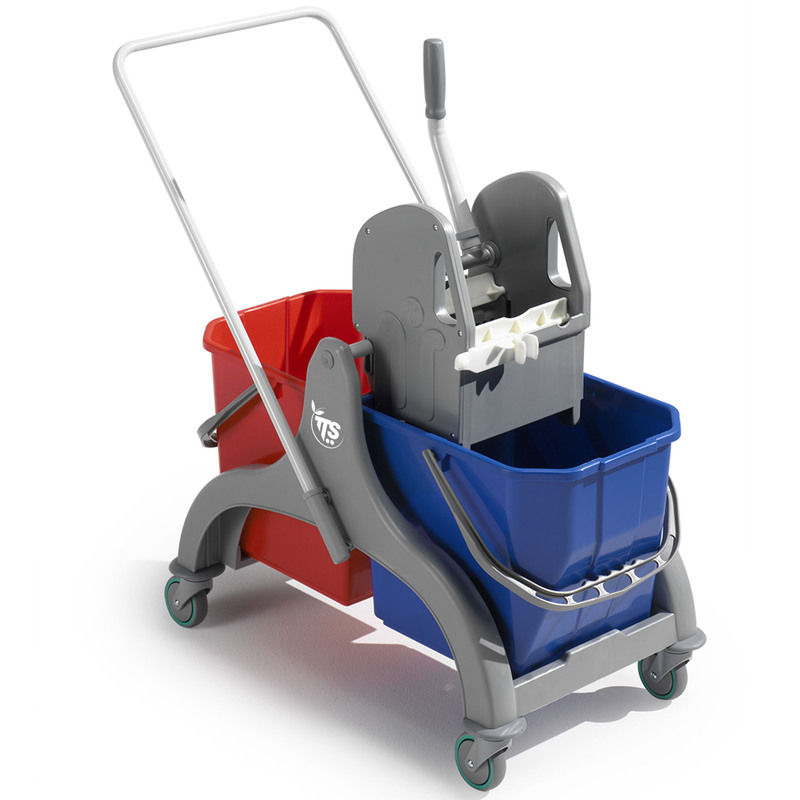 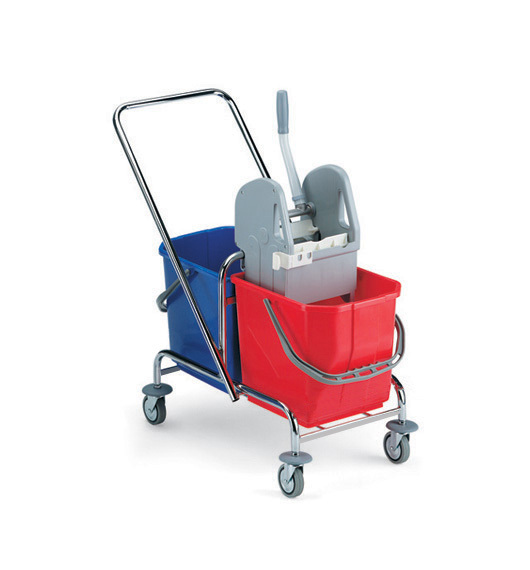 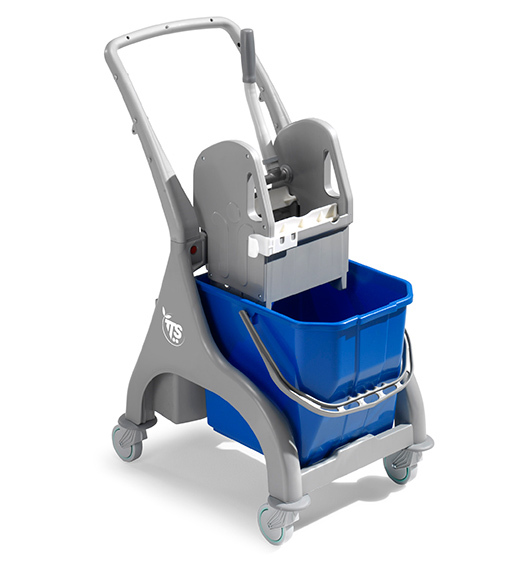 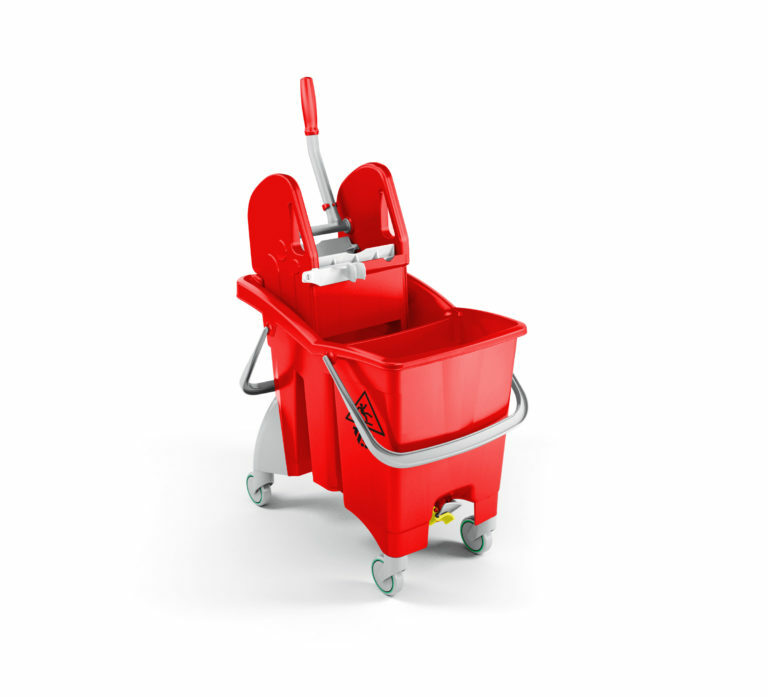 • Two buckets both equipped with drain-plugs, one in the front and one at the back of the trolley, assembled with a watertight seal and a closing lever. 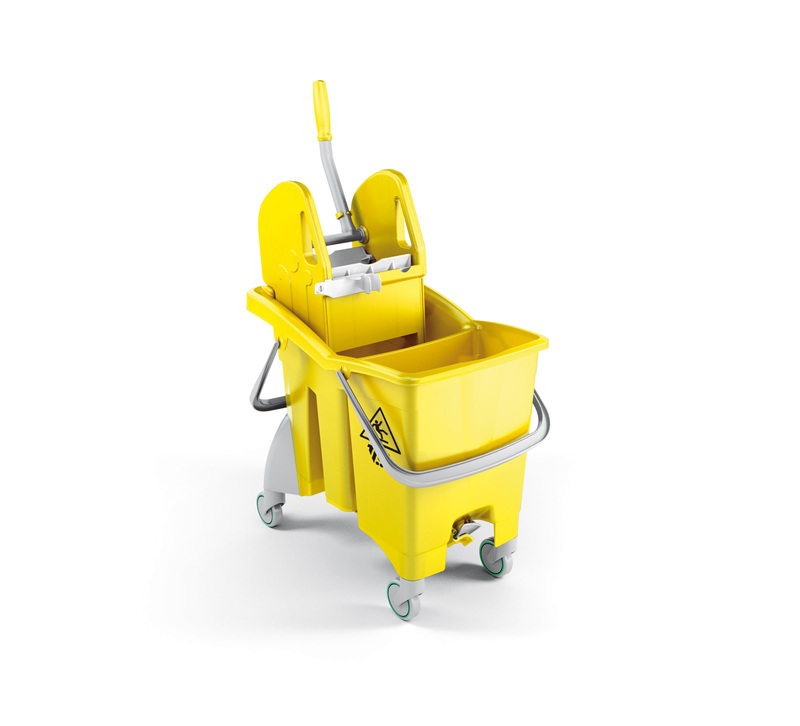 • ACTION PRO can hold 30 litres, divided into cleaning solution and rinsing water. • It is made of polypropylene,so rustproof, shockproof, ecological as completely recyclable, small-sized, to be used in any environment and for any need.